If the title automatically starts you humming, please note that this is not a breezy hum-along book. 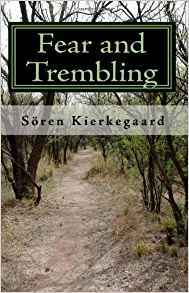 It IS a passionate account of one man’s experience with faith -- and without it. The role that faith serves for each of the characters is a fascinating stew of need and want, of weakness and strength, of loss and (maybe) salvation. 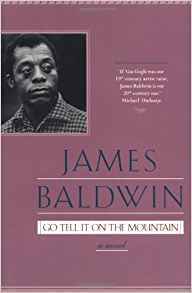 Even better when read in conjunction with Baldwin’s Notes of a Native Son. And while you’re at it, take another look at Richard Wright’s Native Son too. Okay, I admit it, I am one of those people who has worn a t-shirt with a Gandhi quote on the back, without ever actually reading anything he’d written… but no more! 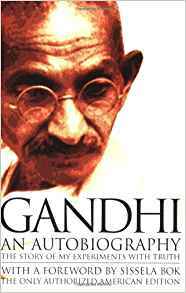 This semester I am taking a seminar on Gandhi, which, thankfully, is trying to explore the difficult and seemingly inconsistent parts along with the saintly and noble parts. This book is a good starting point in going from quote-harvesting to a better understanding of context and nuance. We highlighted Professor Sandel’s Reith lectures in an earlier publication – and here’s the book! He has a great ability to peel apart thorny issues so that we can analyze their squishy insides – Sandel’s even tone and linear (though still nuanced) logic allow for a more thoughtful examination of even the most controversial and emotional issues. His work has helped me to clarify my own thinking and, more importantly, to be more patient and considered in the process. 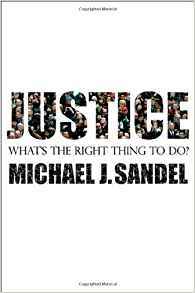 Professor Sandel touched on an important theme in his earlier book, Justice – what is the relationship between civic duty, ethics, and a market economy? Indeed, his primary concern is that we have moved from a market economy to a market society. 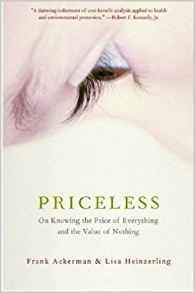 Here he explores the essential question, what should be priceless? 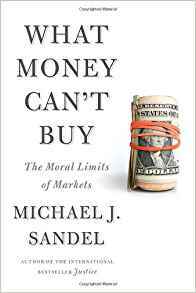 Last fall I was fortunate to be part of Michael Sandel’s small seminar course on ethics and markets (see our prior commentary on his book, Justice). This volume touches upon the central question of the class: are there things that have no price – or that have one, but shouldn’t? I have long been fascinated by attempts to measure things that are not so easily quantifiable – quality of life, health, environment, social benefits and harms – and there have been some great advances in analytical techniques over the years, with increased nuance, usefulness, and thoughtfulness. But there are dangers to this measurement too - the dangers of false precision, of measuring the measurable instead of the important, and, most of all, as highlighted by Ackerman and Heinzerling, of de-valuing the very essence of the thing that is so precious to begin with. 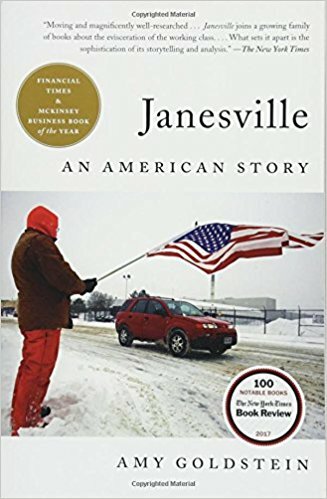 If you grew up in a steel town, or a manufacturing town, or a company town, the story of Janesville might already seem pretty familiar. If you’ve spent the past year or two generalizing about “those people” who disagree with you politically, Janesville might seem like a foreign place. 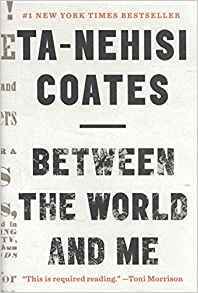 Either way, you will benefit from reading this book, which reminds us that the headlines in the paper and the restructuring costs in earnings reports represent individuals and families and communities, unique and fascinating and resilient. 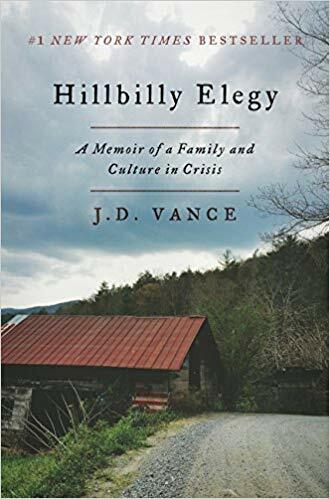 Couple with Hillbilly Elegy if you are trying to bust out of your bubble --- but temper both with a review of Chimamanda Adichie’s Danger of a Single Story. 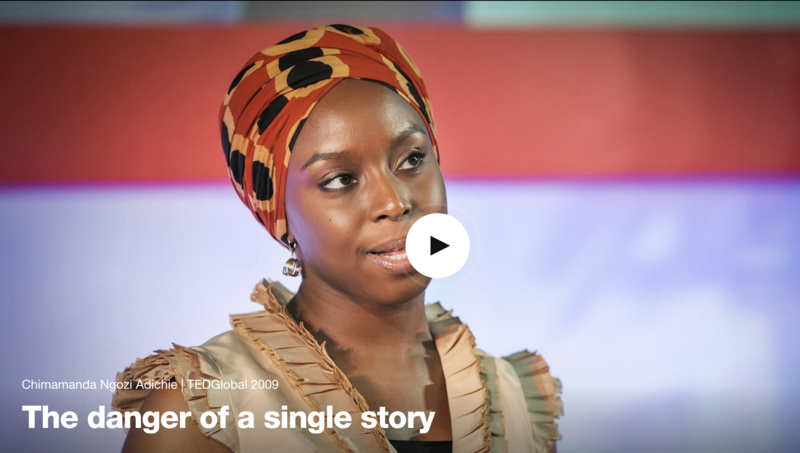 No one account can be complete, but if you collect enough different stories, and really take them in, you might begin to understand something that’s nuanced and complex and evolving and real. We all know that saying, don’t waste a good crisis, right? But when it comes to gender equality, even when action is desired, we often come up short on ideas for what to DO. Bohnet presents thoughtful research that demonstrates the universal preconceptions that are baked into our systems (that means all of us), and offers straightforward data-backed suggestions for improvement. 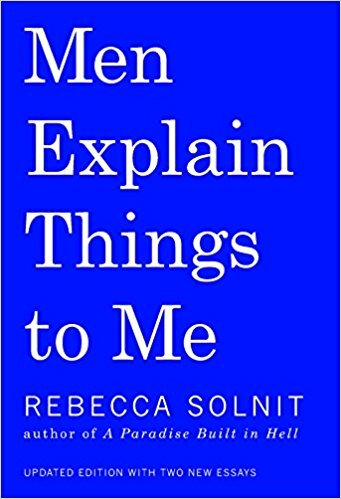 If you are looking for a super-rational argument for diversity, without too much messy emotional stuff, this is the book for you (and that is a compliment!). 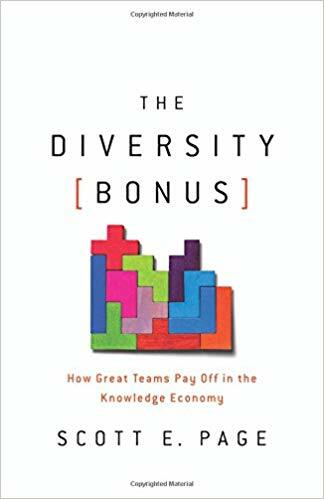 Page’s work on diversity has continued since his well-regarded earlier publication, The Difference, and here he presents a compelling set of evidence for considering cognitive diversity (in all its forms) when constructing teams. If you want to fix the sink, you might want 3 plumbers, but for problems like designing new products or analyzing companies or navigating an unfamiliar forest, you want a more diverse group. 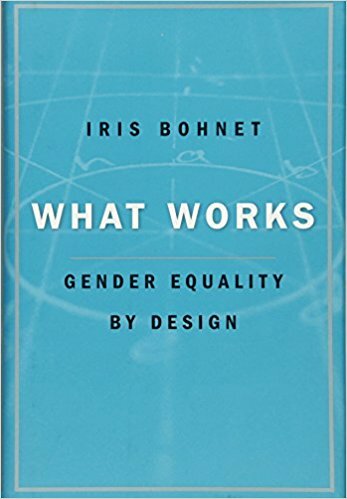 Especially if you are a Good Guy (of any gender) who is still surprised by stories like #metoo, or can’t understand why “all the women leave” your office environment, or don’t see the links between those two phrases I just wrote, this book is a difficult and helpful read. 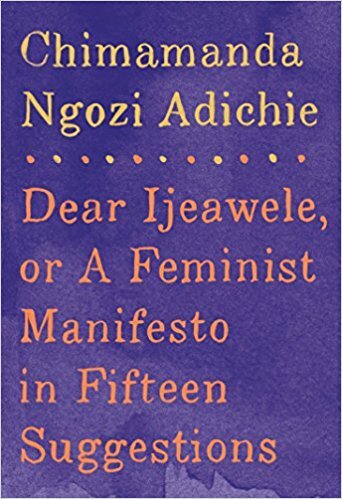 If you still tense up a little bit when you hear the word “feminist,” this tiny book, written as a letter to a dear friend and new parent, will bowl you over with its common sense. Plus, you can read it over a single lunch hour. Pair with We Should All Be Feminists if you want an extra oomph of understanding. If you are looking to round out the messages received by children in your life, without getting all preachy about it, this is the book for you. 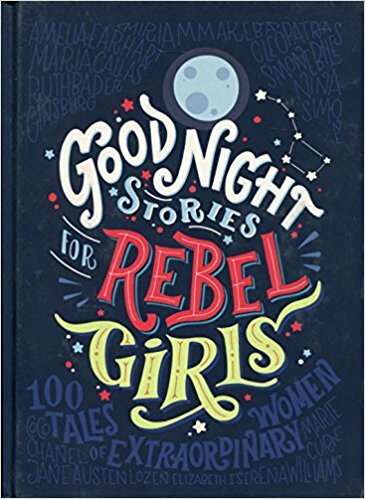 Real stories of real women, written in fairy tale style and illustrated beautifully by 60 female artists. If your kids are inclined towards business you could also tell them how the book’s creation is one of the greatest successes in crowdfunding. Great as a companion to the terrific and beautiful Women in Science and Women in Sports, both by Rachel Ignotofsky.